Out of stock since Sunday, 14 April 2019. Due back soon. 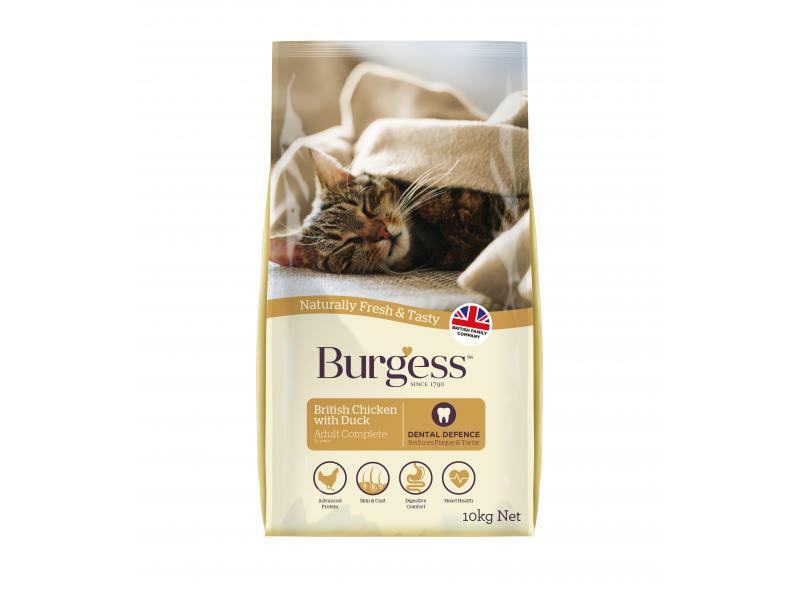 Burgess Chicken & Duck Adult Cat Food is a complete dry food for adult cats. Each bag is full of delicious food which contains contains all the protein, vitamins, minerals and taurine to help keep your cat happy and healthy. It has been specially formulated to be a supatasty meal each and every time. Maize, Chicken Meal (min 21%), Wheat, Rice, Maize Gluten,, Fish Meal, Poultry Fat, Duck Meal (min 4%), Beet Pupp, Chicken Liver Digest, Yeast, Salt, Minerals, Stay * C50 700/mg/kg. The following is a guide to the daily feeding amount for adult cats per day. Fresh drinking water should be available at all times. 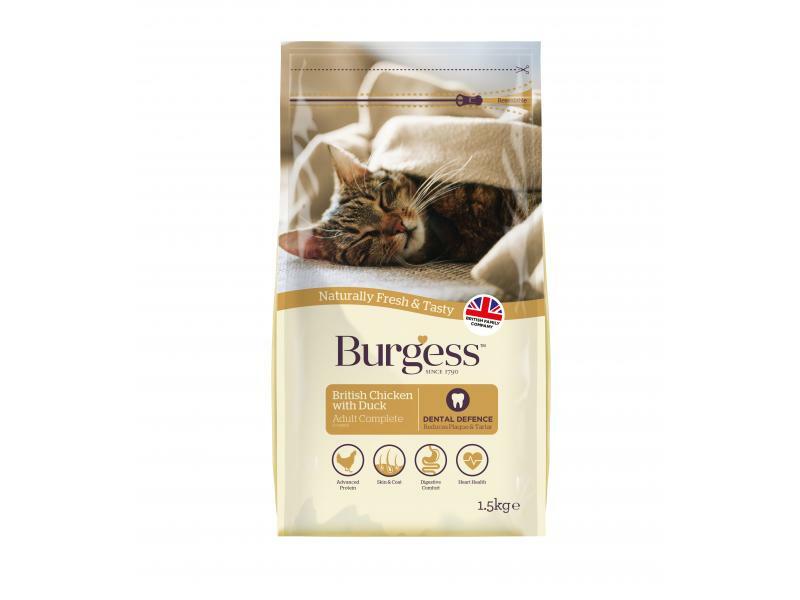 There are currently no questions for Burgess Chicken & Duck Adult Cat Food - be the first to ask one!